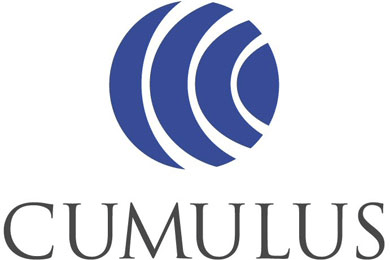 Ahead of an internal web-conference with employees tomorrow, Cumulus Media CEO Mary Berner has made a few new appointments. Former Clear Channel Outdoor President/COO Suzanne Grimes as President of Westwood One and Executive Vice President of Corporate Marketing for all of Cumulus. Her duties will involve integrating of all advertising platforms and overseeing brand marketing for the company as a whole. Chief Marketing Officer Pierre Bouvard and VP/Social Media Lori Lewis will now reported to Grimes. Tommy Page is promoted to Senior Vice President of Brand Partnerships & NASH. He will oversee the development and execution of the Nash brand reporting directly to Berner. Mike McVay, who has been overseeing programming as a whole since the exit of John Dickey, is permanently given the SVP of Content & Programming title for the new Office of Programming. McVay will lead talent recruitment and development and label relations while SVP/Operations Tom Schurr will handle business aspects of programming. When I spoke to you on my first day, I laid out my preliminary thoughts around the key areas of focus that will drive Cumulus forward and put us in a position to turn the company around and win. Over the past two months, the team and I have been listening to your feedback and actively developing strategies that will result in better operational blocking and tackling; growth in our ratings; and a focused, responsible, collaborative and empowered corporate culture. Collectively, we will get Cumulus back on track and begin the evolution into a true next-generation radio business – with the personal and professional opportunities for all of you that come with that. On Thursday’s company-wide address, I will lay out more of the detail around the specific areas of focus that will facilitate a turnaround. However, in the meantime, I wanted to highlight several changes that we are implementing immediately, which are designed to propel our business forward. First, I am pleased to announce that Suzanne Grimes, an accomplished and seasoned media and advertising executive who is former President and Chief Operating Officer of Clear Channel Outdoor North America, will be joining us in a dual role as President of the Westwood One Division and Executive Vice President of Corporate Marketing for Cumulus effective January 1st (external announcement attached). In her capacity as the division leader of Westwood One, Suzanne’s mission is quite simply to unlock the significant potential of our national content and sales platform. Steve Shaw, President of Westwood One, will continue to lead ad sales, and Charles Steinhauer, Chief Operating Officer of Westwood One, will continue to lead operations, both reporting directly to Suzanne. In her capacity as EVP of Corporate Marketing for all of Cumulus, Suzanne will lead our efforts in developing marketing strategies designed to drive more revenue. Research marketing led by Pierre Bouvard, our Chief Marketing Officer, and social media strategy led by Lori Lewis, VP of Social Media, will now both report to Suzanne as part of this team. Tommy Page, in his role as leader of our platform events initiatives and brand partnerships, will continue to play a key role in the Corporate Marketing function as well. Additionally, as a testament to our commitment to NASH, Tommy will add to his existing duties the development and execution of the NASH brand strategy, including the recently completed inaugural year of the NASH Next talent competition. His new title will be SVP of Brand Partnerships & NASH, and he will report directly to me in this capacity. Our country music network radio syndicated shows will continue to report directly into the programming function. Finally, in recognition of the importance of investing in our programming strategy, we are announcing the development of a newly created Office of Programming. Mike McVay, SVP of Content & Programming, has now formally been appointed to lead our content strategy across the platform, including talent recruitment and development and label relations. Tom Schurr, SVP of Operations, will now partner with Mike in a new role, overseeing the business aspects of programming, including organization and prioritization, resource allocation, and budget responsibilities. Our belief with regard to ratings is that more local insight and more effective corporate support will result in an improved outcome. The new Office of Programming will be responsible for executing this strategy to drive ratings growth and will be rolling out more details in the coming weeks. I look forward to putting further definition around these changes plus much more during our company-wide webinar tomorrow at 2pm EST. And I presume that after the webinar ends, people will come into the offices of many employees who watched it to hand out pink slips. Seems to me that if I was about to fire someone, I wouldn’t first invite them into a meeting detailing turnaround plans. Thinking that they might end up at a competitor soon, and all. But perhaps I’m just funny that way. Well, some poor schlub has to be the sacrificial lamb and oversee the upcoming NASH Next. But “our commitment to NASH?” That’s a laugher. There is only one proper way to “the development and execution of the NASH brand strategy.” Shut it down, phase it out, let the existing country stations reclaim their past identities, and never speak of it ever again. But it’s Cumulus, so that’s not going to happen. Agreed… The Nash branding and Format is just awful.